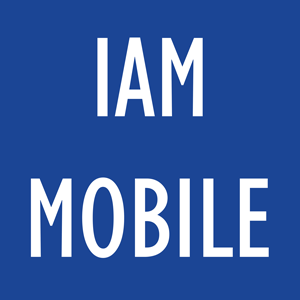 IAM Mobile 24/7 is a year-round app with all the critical information users need to stay connected with IAM's most popular information offerings. If you have already downloaded the app, you never need to download it again. It should be updated through your mobile device's store and you will automatically have the newest version. The first step is to download the app. You can get it on the Google Play or iPhone/iPad App Store. Search for “IAM Mobile 24/7.” If you are using a device that is not Android or iPhone compatible, you can use the web interface. Customize your profile so you stand out and your colleagues can find you! This is your association and your app. We started off with the items designated most important in the most recent member needs survey conducted by an outside consulting firm hired by IAM. All the same, this is an evolving tool that is designed to meet the year-round needs of our members. If you have suggestions about what to include, contact Carl Weaver. The Portal regularly builds issues around themes, some of which are suggested by IAM members. Past topics popular among our readers include Women in the Industry, Family-Owned Businesses, Couples in Charge, Member Milestones, Logistics, Containers and Packaging, and Travel Tips. Themes and submission guidelines for upcoming issues are announced in The Portal and via email. We welcome your ideas!